An exceptional option for correcting your vision without the hassle of a contact lens cleaning routine, extended wear contact lenses could be the perfect choice for you. These contact lenses can be worn day and night, without needing to be removed, for up to a fixed amount of time (typically one week to a month). This makes life that little bit easier for anyone with a busy schedule who’s guilty of falling asleep in their lenses. With extended wear lenses, early starts, late nights and all the ups and downs in between won’t get in the way of your vision. Buy extended wear contact lenses online at FeelGoodContacts.com and discover best-selling ranges such as Acuvue Oasys, Biofinity and Air Optix contact lenses. Please note it’s important to speak with your optician or eye care practitioner prior to trying extended wear lenses, to find out if they’re a suitable option for your eyes. What are extended wear contact lenses made of? Essentially all extended wear contact lenses have been made from a silicone hydrogel material, making them different from standard hydrogel contact lenses. This advanced material works wonders in terms of breathability, allowing up to six times the oxygen to reach your eyes than all other contact lenses, keeping eyes healthy and feeling fresher for longer. Why should I choose extended wear contact lenses? Convenience – by applying your lenses at the beginning of your wearing schedule, there will be no need to worry about them until the time comes (typically between a week and a month later) to take them out. Perfect if you’re a night owl and/or an early bird. Comfort – because of the nature of the lenses, which are more porous than daily disposables, oxygen is able to reach the eye and circulate more easily. This promotes breathability and ensures that your eyes feel fresh throughout use, of particular benefit to those with sensitive eyes. Before you try them, make sure to ask your optician if extended wear lenses are a suitable option for you. This is because there are a number of different factors that determine if extended wear lenses are compatible with your eyes. One of the most important things to remember is not to wear your extended wear lenses past their recommended wearing date. In addition, as they’re not routinely removed and cleaned, you’ll have to take extra care in maintaining the hygiene of your eyes. FeelGoodContacts.com are delighted to stock an exceptional range of eye care products that includes cleaning eye drops and re-wetting drops for your lenses. If at any point during wear, you feel your lens has accumulated some dirt or build-up of any kind, make sure to remove your lenses and clean and rinse them thoroughly with contact lens solution. What types of extended wear contact lenses are there? Contact lenses that offer extended wear are typically monthly or two weekly lenses. 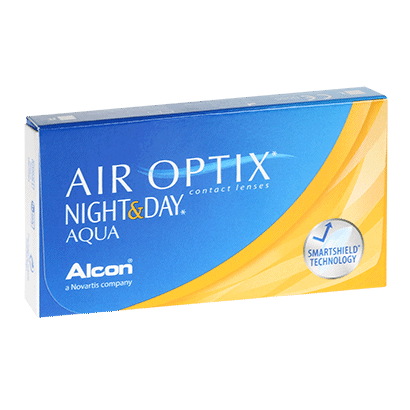 Notable brands such as Air Optix and Biofinity have been designed to be worn for a week without needing to be removed, while Air Optix Night & Day Aqua are unique lenses designed for 30 days of continuous wear. You’ll also be able to find extended wear lenses to correct your astigmatism, with a selection of toric contacts suitable for continuous wear. These include Acuvue Oasys for Astigmatism, PureVision2 for Astigmatism and Biofinity Toric. And those that suffer from presbyopia can find extended lenses to suit their eyecare needs, with a wide range of multifocal contact lenses for overnight wear at FeelGoodContacts.com. We stock PureVision2 for Presbyopia, Air Optix Aqua Multifocal and Biofinity Multifocal for anyone needing presbyopic correction. How much do extended wear contact lenses cost? Feel Good Contacts offers the best prices online for extended wear contact lenses. We offer a Price Match Guarantee against all major contact lens retailers in the UK. Get your extended wear contact lenses for less online at Feel God Contacts. What are the best extended wear contact lenses? The best way of knowing which extended wear lenses are best for you is by seeking advice from an eye care practitioner and having an examination. It is not advisable to wear extended wear contacts otherwise. 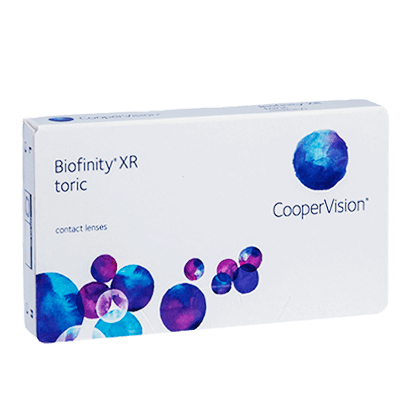 Biofinity XR Toric contact lenses offer outstanding visual correction for astigmatism. 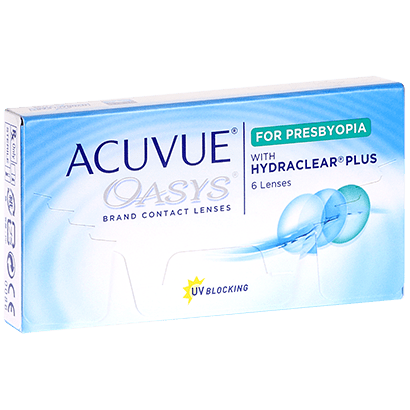 Made from silicone hydrogel, these monthly contact lenses for astigmatism deliver exceptional visual clarity all day long due to their advanced design that remains in place on the eye during movement. Aquaform Technology ensures a highly moistures feel and comfortable fit, that you’ll barely feel even as the day goes on. If approved by an eye care practitioner, you can alternatively wear them as extended wear contact lenses for up to a week. These innovative lenses are extended wear contact lenses that can be worn for up to 30 days and 30 nights without requiring removal, if approved by your optician. They provide the freedom to wear your lenses while you sleep, meaning you won’t have to remember to take them out before bed, or follow a nightly contact lens cleaning and storing routine. They are made from a breathable silicone hydrogel material that ensures these lenses allow more oxygen to travel through to your eyes. Coupled with TriComfort technology, these extended wear contact lenses provide a smooth, moist and deposit-resistant.